STEFAN Dunbar had already eclipsed his famous uncle Adrian Dunbar with his first ever acting role at primary school – he was cast as Jesus, "the ultimate part". 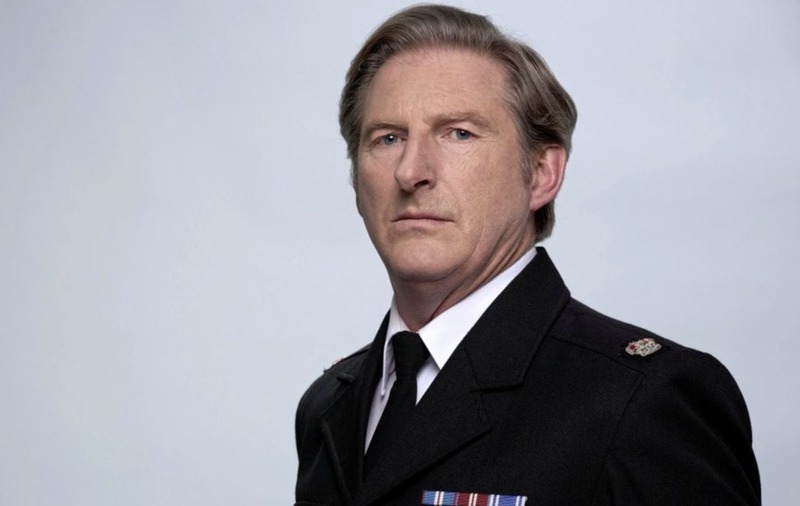 However, while he and his uncle 'Aidie', as Stefan calls the Line of Duty star, have worked together previously, they are both looking forward to finding the right project to collaborate on again one day. The 28-year-old from Enniskillen appeared with Adrian Dunbar in the BBC2 short film Two Angry Men about the fight that actor/director James Ellis and writer Sam Thompson had to get the play Over The Bridge staged in Belfast in 1959, as its theme of sectarianism was thought likely to cause civil unrest. Stefan says that he did not actively follow his uncle into acting, but rather that acting found him. "I was the class clown, I suppose, and the only way to settle me down was to put in front of everyone," he recalls. "My first acting role was at primary school playing Jesus in the Stations of the Cross. That was my calling then, after playing the ultimate part. “It was fantastic to work with Aidie as we get on so well. There are similarities between the two of us which can be seen once we start to act. We would love to act with one another and just need to find the right material." Meanwhile, the young actor is on another mission this month to use drama to discuss race issues in a new play by Andrea Montgomery, the woman who staged the north's largest ever Shakespeare production, the Belfast Tempest. 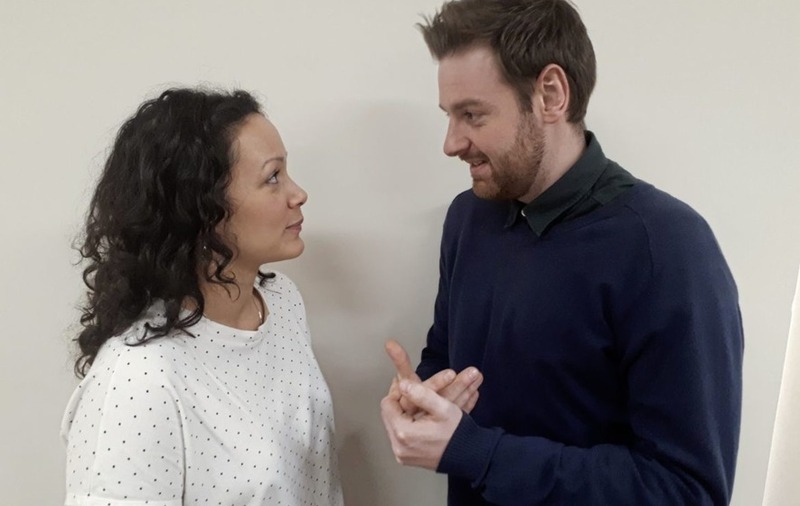 He and actress Melissa Dean will be talking about race from myriad points of view in Me You Us Them as they portray northerners from different cultures and countries, including the Sudan, Hong Kong, Nigeria, Iran and Jamaica as well as rural Armagh, Belfast and Donegal. The play has been inspired by conversation with real people across the north and based on experiences that non-native people have had while living and working here. While Stefan hails from Co Fermanagh, his English co-performer Melissa, who also has appeared in Line of Duty and EastEnders, has connections to the north, to west Belfast in particular. While her father originally came from Guyana in the Caribbean, her mother was from west Belfast before she moved over to England. The play introduces characters through a series of monologues, then shows lives gradually intersecting and overlapping in surprising ways, to build a picture of life as we don’t usually see it on the Northern Ireland stage. "The main character I play is a young man, Ryan, from Donegal, whose mother is from Belfast. He fancies a mixed-race girl but questions whether he is racist as he doesn't want to objectify her because of her skin colour – though his first instinct is that he does fancy her because of the colour of skin," explains Stefan. "Then there's Kyle who lives in an estate and his point of view is very different from anyone else. He sees immigrants as these people moving into his community after he sees a family move into the house of his aunty, who has just passed ways. "People might take him to be the bad guy of the play but he doesn't see himself as racist. You think he's a bad guy but then as the play goes on, you re realise that he's just lost and has little understanding." Director and writer Andrea Montgomery is upbeat about the upcoming tour and her work with the "outstanding duo of actors". She worked with Melissa before when her Arrivals 2 play toured several years back. Montgomery had originally cast Donegal actor Patrick McBrearty, who played Aerial in her acclaimed Tempest production, in Stefan's role. Best friends for years, Patrick got a role in The Colleen Bawn next month at the Lyric and recommended Stefan Dunbar, who made the role his own at audition. "Rehearsals have been a joy – hilarious and moving, and sparkling with creative chemistry. I hope that audiences will enjoy the actors' talent as much as I have enjoyed directing them. My thanks go out to everyone who generously shared their stories and made the work possible," Montgomery says.